1.2 How to get Rid of Forehead Acne? Most of us wrestle with the Acne. No one detects what’s the root cause of it. They are just sneaking to the makeup to dangle their beauty. But how long it works. In spite of hiding the Acne, also makes your Pimples worse and leads to permanent Ace Scars. So, What to do & How to clear up Acne on Forehead? Without any breakouts and Pimple blemishes. Have a glance throughout this article to know the causes of Acne on Forehead and natural methods to get rid of Pimples on forehead forever. Acne can occur anywhere on the body. The most predictable part is forehead. Do you know What Acne on Forehead Means? Nothing but small pimples on the forehead. But all the small bumps on the forehead no Acne. So, don’t think that you got the Acne on face simply by seeing those scars and don’t use medicines. First, confirm whether it is Acne or not. After confirmation, identify the cause for the Pimples either it occurs due to oil skin, dust, or anything else. Then use the appropriate remedy for that cause. The pimples may occur on the forehead due to the oil of the hair follicles and dead cells of the skin. So, it results in red spots on forehead and small scars and bumps. Check out the complete article to know the causes, home remedies, natural treatment to get rid of Acne on Forehead. It seems to be very nasty when Pimples occur on Forehead. So, What is the cause to get Acne on Forehead? is the prevalent question which triggers in everyone’s mind. Hence check out the Forehead Acne causes from the below points. 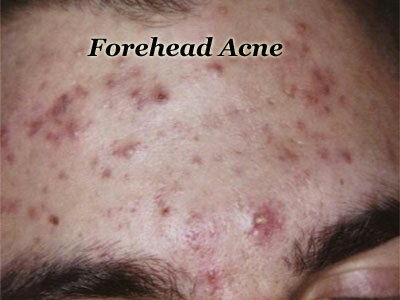 Clogged pores is the main cause of Acne on Forehead. Due to the excessive production of the oil, the dirt particles may stick to the skin. This results in the clogging of pores on the Forehead. Eating of the fried products, Junk food disrupts your tummy and leads to digestive system problems. Hence intake of the unhealthy diet also results in Forehead Acne. At the puberty stage, our body secretes excessive hormones which provide a root to Acne Scars on Forehead. Stress and Restlessness are the main things which take an active role in the formation of Pimples or Zits. The desire to get rid of Forehead Acne will not happen unless you take the preventive measures. Hence you must espouse to natural products to treat the Acne bumps on Forehead. These products are effective in treating the Forehead Acne Scars fast. Also, they are completely safe and cost effective since they are available in our home itself. Is tomato reduces the Cystic Acne Forehead? Yeah. It is the wonderful remedy to get rid of the Acne Scars overnight. Tomato removes the oil from the skin and makes a pimple free forehead. You can also wear a tomato mask by preparing tomato paste. It helps in preventing the redness of the Pimples. Also, you can apply the mixture of tomato and cucumber paste to the Acne-prone skin. These ingredients will let out you from the Acne Scars on Forehead. The studies have proven that tea tree oil is an excellent home remedy for the Small Pimples on the forehead. The anti-bacterial properties present in this oil fight with the bacteria and dust particles. Hence, you can get relieve from the Acne Bumps on Forehead. Alternatively, you can also mix this oil with honey and apply to the face as a pack. Also, dip the cotton pad in the tea tree oil and rub gently on the forehead. Although lemon is familiar to everyone, no one knows How to get rid of Acne on Forehead Fast using lemon? Isn’t it. Lemon plays a vital role in Forehead Acne Treatment. It shows the fast effect on the Spread the lemon juice on the pimples and left it for some time to get rid of Pimples on Forehead. Instead, add the oatmeal, almond oil, honey with the lemon and apply to the face. Move your fingertips in circular for at least 5 minutes to stay away from the Acne. It is better to use the lemon at night because it is photosensitive. Hence when you use the lemon in the day time causes the Acne Blemishes. Don’t say that these remedies are not helpful to you by using for only one time. Also, don’t think that the pimples on the forehead will disappear in overnight. It takes some period to get rid of the Forehead Pimples permanently. So, try to use these remedies regularly. The forehead is one of the parts of T-Zone. Other parts of the zone include nose and chin. But the most Acne-prone area is Forehead. It seems very hard to see Acne on the forehead. 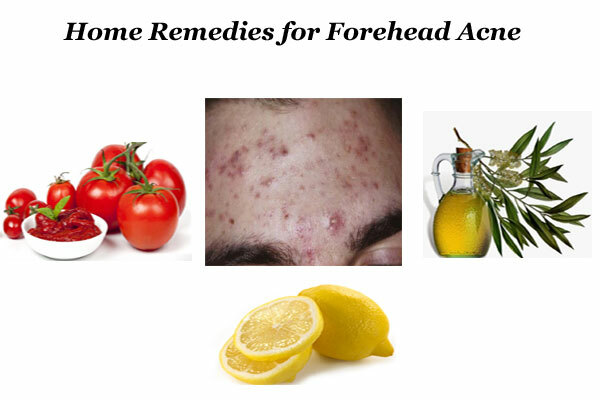 Hence follow some natural solutions to prevent the Pimples or Zits on the Forehead. Since excessive sweat causes the Pimples on Forehead, wash your face twice a day. By washing the dirt particles on the face will diminish and reduces the Pimples Blemishes. While washing, use your fingertips to move around the skin circularly. Keep in mind that too much rubbing also makes your Acne worse or severe. Dandruff is the main cause for the occurrence of Pimples or Zits on the forehead. Constant exposure to the dirt particles and sunlight leads to dandruff. Hence take shampoo after coming from outside. Also, use the anti-dandruff shampoo which contains fewer chemicals. If it doesn’t suit to your hair, you may also go for the fenugreek seeds mixed with the curd. Exfoliate your skin twice a week. It removes the outer layer of the skin and prevents clogging of pores. Take a care while exfoliating because too much of this practice irritates pimples and causes breakouts. Sometimes when you sleep, the oil of your hair sticks to the pillowcase. So, at the time of sleeping the oil of the case becomes contact with your skin and causes Acne Breakouts. Hence, wash the pillowcases and bedsheets for two times in a week. Know how to get rid of Acne? Despite there are many home remedies, doesn’t suit for some people. Hence, seek the doctor’s help and use the medications to let out from the Pimples on Forehead. In today world we have many creams and lotions for forehead acne treatment. Here we have given some medicines for the Small Acne Bumps on Forehead. Benzoyl peroxide is one of the best medications to remove Forehead Acne forever. This medicine kills the bacteria and other dead cells that are associated with the cause of Subclinical Acne on Forehead. Wash your face gently with water before applying benzoyl peroxide lotion. You can take this cream 2.5% to 10%. Start with the less quantity and increase later if you do not find the result. Steam is the best natural remedy to remove Forehead Acne forever. It is same as the treatment that you have used at the time of cold. Steam opens the pores and takes way the dust particles that causes Pimples on the forehead. Heat the water on the stove until steam appears. Then, place your face close to the water. Cover your face and water bowl without allowing the air. After 15 to 20 minutes wash your face gently. You can also pour some drops of essential oils in the water. Besides benzoyl peroxide, you can also use the salicylic acid for the Acne Forehead Treatment. This over-the-counter product helps to reduce the Pimples or Zits on the forehead. But don’t use this product without the doctor’s prescription. Since it has many side effects, avoid the usage of this acid near eyes. So, try these home remedies and natural tips to prevent the occurrence of Pimples and Zits on the face. Also, use the prescribed medicines for forehead acne treatment. Keep in mind that usage of these products for single time is not enough. Hence follow these methods regularly and recognize the results.